On 12 December 1964, Barrel Roll was approved by Souvanna Phouma. The program originally consisted of only two U.S bombing sorties per week that were to be conducted by no more than four aircraft in each strike. Due to the nature of the American agreement with the Thai government (most U.S. strike aircraft flew from bases in Thailand), the aircraft had to first fly to South Vietnam, land, and then take off again for Laos. By 24 December, six armed reconnaissance missions were being conducted per day, but the hoped for reaction from Hanoi did not materialize. The aircraft utilized to support the covert war were an odd assortment of vintage, propeller-driven fighter-bombers, high-performance jet aircraft, and Second World War cargo planes. This hodgepodge of an air force with its peculiar mix of aircraft and aircrews flew for eight years in the crowded skies over Laos. The majority of the close air support missions flown in the northeast were conducted by Douglas A-1 Skyraiders and AT-28 Trojans. These propeller-driven (and Korean Conflict-era) aircraft came into their own in Southeast Asia, where their heavy ordnance loads, long loiter times, and high maneuverability at low altitudes made them more effective than the "fast movers" of the more modern jet Air Force. 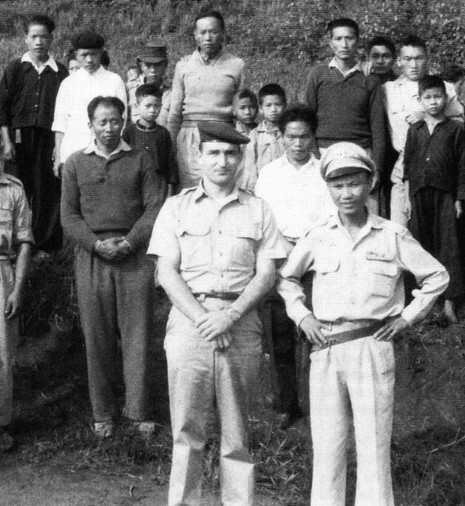 Before neutralization, one of the first American activities in support of the Hmong had been the establishment of Lima Sites, air strips on peaks surrounding the strategic Plain of Jars, and during the early 1960s their number had grown to 200. The Plain of Jars, the cockpit of military actions between the Hmong forces, PAVN, and the Pathet Lao, was a plateau north and northeast of Vientiane 40 miles wide, covered with grass and small hills spread over an area of approximately 500 square miles. The large stone jars (some of which weighed between 4,000 and 6,000 pounds) that gave the plain its name were thought to be the funeral urns of an earlier culture, although archeologists could not agree upon which one. It quickly became evident that the cyclical pattern of the monsoon weather would dictate the timing and pace of military operations in the northeast. From November through May (the dry season), North Vietnamese and Pathet Lao forces advanced out of Sam Neua Province along Route 6 and out of the Barthelemy Pass through Ban Ban toward the Plain of Jars. The lack of roads and the primitive state of those that did exist forced the communists to stretch their lines of communication taut, inviting counterattack. This Vang Pao's forces did from June through October (the wet season), utilizing air power, air mobility, and guerrilla tactics to push the communists back to their starting places. This operation was initiated in response to a Pathet Lao offensive in the Plaine des Jarres in north central Laos. The Pathet Lao were communist guerrillas who were fighting to overthrow the Royal Lao government. 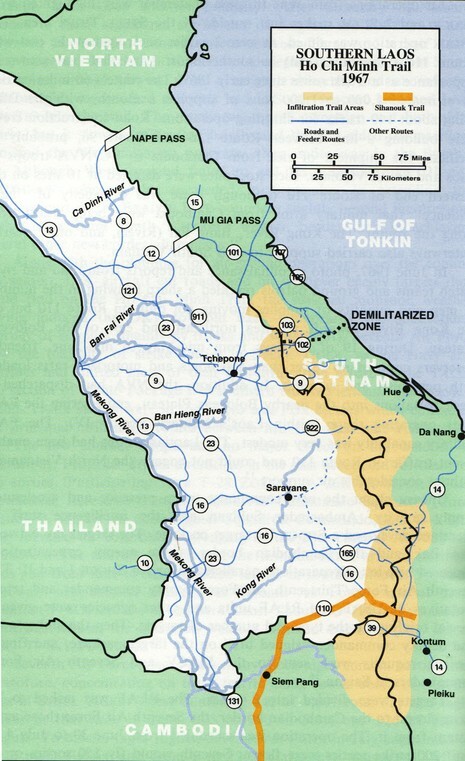 Operation Barrel Roll was designed to provide air support for the Royal Laotian Army and CIA-trained Hmong (mountain people) irregular forces led by Gen. Vang Pao. In addition to these operations, there was also another part of the war in Laos which was conducted in the eastern part of the country along the Ho Chi Minh Trail, which ran out of North Vietnam through Laos and south along the South Vietnamese-Cambodian border. The North Vietnamese used this trail network as the main avenue by which they supplied and reinforced their troops in South Vietnam.